Neuroprosthetic medicine is improving the lives of countless individuals. 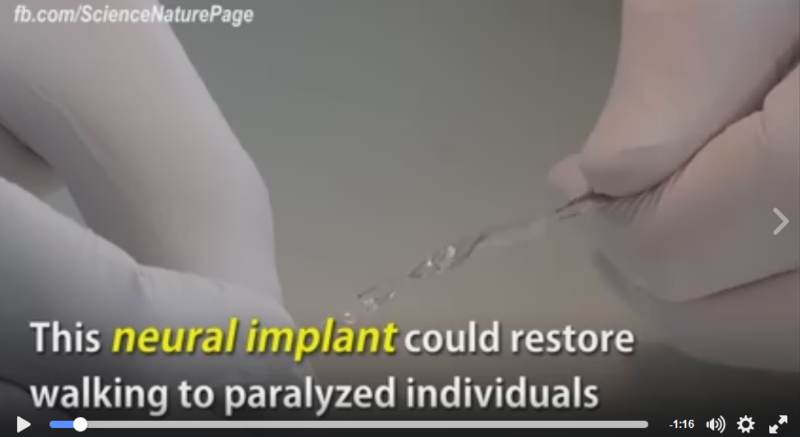 Cochlear implants restore hearing in deaf children, deep brain stimulation alleviates Parkinsonian symptoms, and spinal cord neuromodulation attenuates chronic neuropathic pain. These interventions rely on implants developed in the 1980s. into chronic implants mediating long-lasting functional benefits has yet to be achieved. A recurring challenge restricting chronic bio-integration is the substantial biomechanical mismatch between implants and neural tissues. Here, we introduce a new class of soft multimodal neural interfaces that achieve chronic bio-integration, and we demonstrate their long-term efficacy in clinically relevant applications. About 5.6 million people in the US have some form of paralysis. This means that about 1 out of every 50 Americans has trouble moving their arms or legs, which can make living independently difficult. Millions of people worldwide suffer from diseases that lead to paralysis through disruption of signal pathways between the brain and the muscles. Neuroprosthetic devices are designed to restore lost function and could be used to form an electronic ‘neural bypass’ to circumvent disconnected pathways in the nervous system.